What if we could reduce greenhouse gas emissions and grow enough food to feed our ballooning population using resources we already have? Kristin Ohlson, author of The Soil Will Save Us, thinks we can do just that. And like a growing number of scientists, farmers, and good food advocates, she believes that in order to fix the problems in the sky, we need to put our eyes and ears to the ground. The Soil Will Save Us is part soil science primer, part history lesson on environmental degradation and the efforts to fight it, and part manifesto on restoring our relationship with the land. The reader follows Ohlson as she travels the globe—from her childhood home near Cleveland, Ohio to Perth, Australia—to learn about how people can revive soils damaged by decades of drought, erosion, and poor land management. Ohlson argues that the rise of agriculture has actually diminished our understanding of the rich and delicate ecosystem just below the ground. She indicts industrial agriculture in particular, as harsh practices like tilling our farmlands and saturating the ground with synthetic fertilizers have led to a swift and steady decline in soil health. The effects on our climate have been staggering. 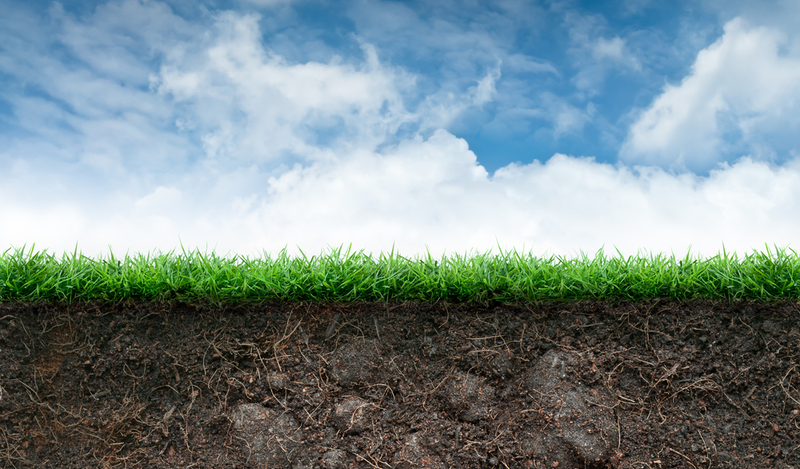 “The world’s soils have lost up to 80 billions tons of carbon…[and] land misuse accounts for 30 percent of the carbon emissions entering the atmosphere,” Olson writes. That’s right—that “unstoppable loss” of the Antarctic shelf and the ensuing 15 feet in sea level rise we heard a lot about last month? How we farm is a big part of the problem. On the bright side, Rattan Lal, director of the Carbon Management and Sequestration Center (C-MASC) at Ohio State University, argues that we can capture some, if not most, of that carbon back by letting plants do what they do best: photosynthesis. “The carbon in the soil is like a cup of water,” Lal posits in the book. “We have drunk more than half of it, but we can put more water back in the cup. With good soil practices, we can reverse global warming.” Lal believes we can restore three billion tons of atmospheric carbon to the soil each year and he works with scientists on test plots around the world to develop practices to promote carbon sequestration. It’s not just scientists who are repairing soils, however. On the other side of the globe, Ohlson spent time with Allan Savory, who walks barefoot through the grasslands near Victoria Falls, Zimbabwe. “People with shoes aren’t aware of how damned hot the soil gets,” Savory said as he explained how the soil’s heat is a symptom of rampant desertification. A former botanist and zoologist, Savory founded the Africa Centre for Holistic Management because, like Lal, he believes we can bring our soils back to life. To do so, he enlists the help of those he once thought were responsible for the degradation he sees today: cattle. Savory believed for years that range herds made the grasslands dry and brittle, until he visited a South African farmer who had managed to rebuild his soils by mimicking ancient grazing patterns among his cattle. As Ohlson writes, “humans unintentionally changed the way the herds impacted the grasslands when they domesticated them.” Allowing herds to graze in tight groups for short periods of time, like they do in the face of predators, could actually reverse desertification. The animals trample green plant material into the soil and create hoof prints that act as shallow pools for rainwater to collect. As the ground soaks up water, more and more plants and microorganisms once again find a suitable place to live. In North Dakota, farmer Gabe Brown accidentally adopted practices similar to Savory’s. For four years, Brown lost most of his crops to extreme weather; in response, he planted cover crops and allowed his cattle to graze through the wreckage. “That was a tough time, but it was the best thing that could have happened, because I never would be where I am today without those four years. We were forced to change,” Brown told Ohlson. Making the switch to more holistic forms of land management has helped save Brown money he would have otherwise spent on expensive synthetic fertilizers and has improved his soil health dramatically. This, in turn, has led to a healthy combination of plants, microorganisms, fungi, and insects that all work together to keep pests and disease at bay. His fields have never been more productive. Ohlson weaves these stories together among many others and in so doing evokes the interconnectedness of the world underground. While much of The Soil Will Save Us celebrates the farmers and scientists who are leading the charge toward a better ecosystem, Ohlson reminds us that we all have a part to play. As eaters, we can support food grown in harmony with the soil, but that’s not all. “What we do with our urban green matters, whether it’s in our yards or our parks or even our highway median strips,” she writes. Indeed, the soil can only save us if we start building a world where healthy plants can take root, no matter where they are. Finally, proper land management is getting more traction in the media! The message that humans are ruining the earth has a silver lining: responsible farming and animal husbandry actually enriches our land when done as was designed by the Creator Himself. By coaxing creation in the amazing way God designed, a true win win is possible. The best way for agricultural land to sequester carbon is to farm without significant tillage (no-till, strip-till etc), plant cover crops, and use controlled wheel traffic so that most of the field is never compacted. This is really only feasible on a scale that matters using herbicides for weed management. Farming methods that build soil carbon by importing compost actually involves a bigger carbon footprint because of methane emissions during the composting process.